It's no easy task to go ask for financial help as an adult. 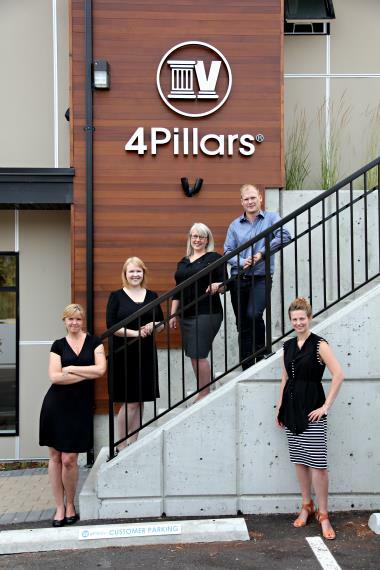 The team at Four Pillars were understanding, empathetic and fast working. Tasha and Benjy gave me instant peace of mind and I am thankful for their help. I am extremely satisfied with the service they supplied. I had a really good experience with 4 Pillars, especially with the staff and how they handled my personal case. I would recommend them to anyone I know that would need financial help. Fantastic people, very sympathetic, they’ll help you all the way. I got much more than what I expected, I only need to pay 25% of my debt. Tasha you are the best!!! You are magical!!! Deciding to go through this process was not an easy one for me, but luckily, I met Taryn. She immediately put my mind at ease with her knowledge, empathy, and guidance. It was evident from the start that she genuinely cared about what was best for me. There was no judgment from her, only support, and reassurance that everything was going to be okay. After consulting with her, it was a no-brainer that this is what I needed to do for my well-being and my future. Wow, was she right! I have been given a fresh start and feel like I am on my way to financial freedom and the future I have always dreamed of. The staff at 4 Pillars are all fantastic, and they made an experience I expected to be embarrassing and painful, anything but. These are the kind of people you need in your corner when you are attempting to change your life - they most certainly changed mine. And I am forever grateful to all of them, especially, Taryn. Thank you! I am so happy with the service and the way I was made to feel that I did not fail. It is a hard thing to admit that you got into such a mess but at no time was I ever made to feel that way. I was treated with respect and would recommend Tasha and the whole staff anytime. Working with Tarryn at 4 Pillars has been a real pleasure. She helped me get out of a major financial bind. She offers clear and expert advice and inspiration! I am so grateful and relieved that I connected with 4 Pillars. I was signed up with another national debt consolidation service but they didn't seem to care about my situation and set my repayment rate at an amount that left me penniless every month. 4 Pillars helped me through every step of the application process and cut my payments by more than half so I can actually afford to live and even save a little every month. They were friendly, proffesional, personable and most importantly thry actually care about their clients well being. I am happy and have hope now. I honestly couldn't figure out how I ever got to this point. Unfortunately because of being blindsided in a divorce I lost everything and took on the entire family debt. Between lawyers and bills I was in so much debt. I wasn't sure what to do or if I could get help. Benjy Houser saved me from financial disaster. The whole team at 4 Pillars were so professional and helpful. It's been two years since my consumer proposal and I am well on my way to rebuilding my credit and providing a great life for my kids. Thank you! When I first came into meet with Benjy and Tasha I was full of stress and debt with nowhere else to turn. The 4Pillars team not only took the stress away but also taught me a lot about finances and how I can make the right changes to better my situation. I can’t thank them enough for all the support and information they have given to me. Ended up saving around $200,000 in debt (including income tax debt) and and feel the relief of the financial stress. I feel so much having one low monthly payment to all my creditors, including CRA. I feel so much better now that I have an interest free debt plan with low monthly payments. It's amazing how being debt free feels and learning how to budget my money without credit. I even have savings. I'm so happy! I feel so much better having all my debt taken care of in one low monthly payment. I now have emergency savings and can sleep at night. Taxes, what a nightmare trying to catch up on those. I didn't know what I was going to do until I went and saw 4pillars. I now have a reduced affordable monthly payment for all my back taxes and now I can move forward. After an extremely stressful and emotional past several years of trying to pay off my debt, I finally went to see 4pillars and now I can rest easy at night. I have an affordable monthly payment with no more interest accruing. I was able to cut my debt by 60% including my income tax arrears. My total debts were reduced by 60%, including my Income Tax debt. Life is different now that I have an interest free debt solution. Was able to save me more than half of my current debt and I am keeping my house. Saved over half of what I was owing and I can sleep at night now.